I remember David Curtis doing a blog on these and digging up an old, similar patent. I love how 2 very distinct ideas, from centuries apart, are similar in concept. No idea if/how the tech works but nice to see something different. 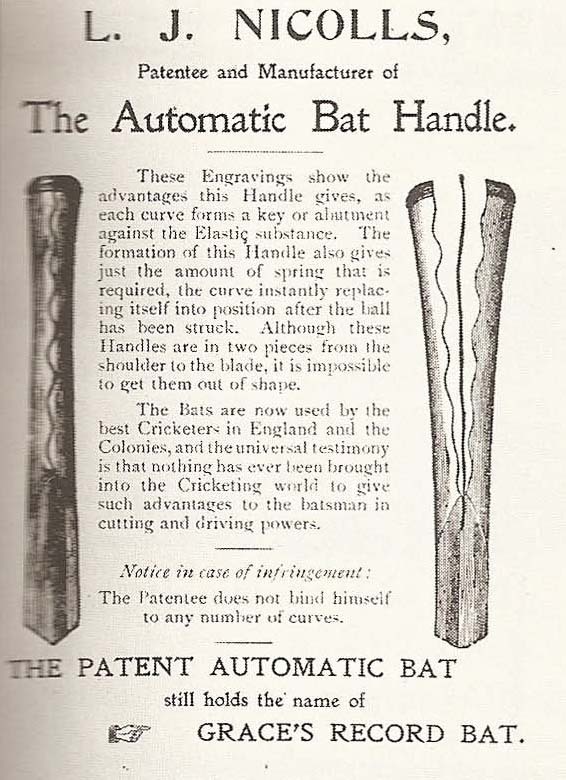 Interesting historical find there Tom, wonder if Kippax would like to try to make one as an experiment and compare it with the wavex handle. Are Wavex handles available to bat makers in the USA?